This is the second necklace in my line of trade bead necklaces. 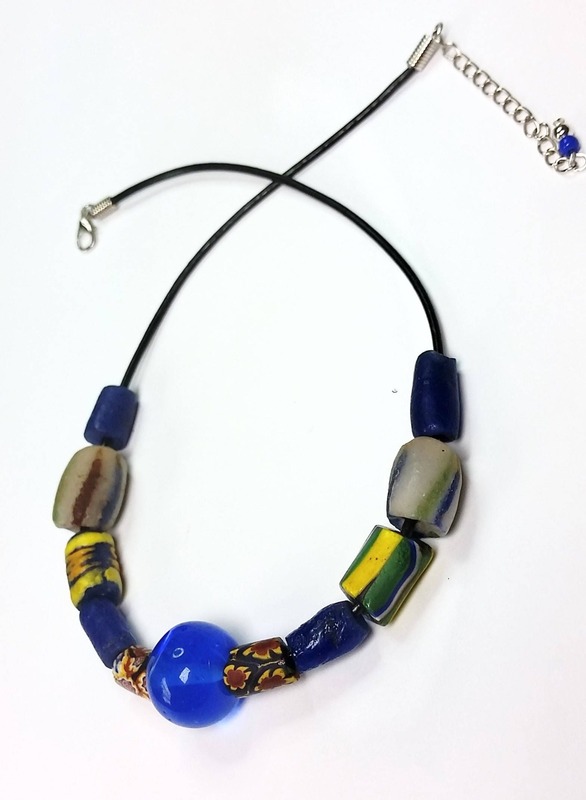 The focal is a round cobalt blue glass bead. 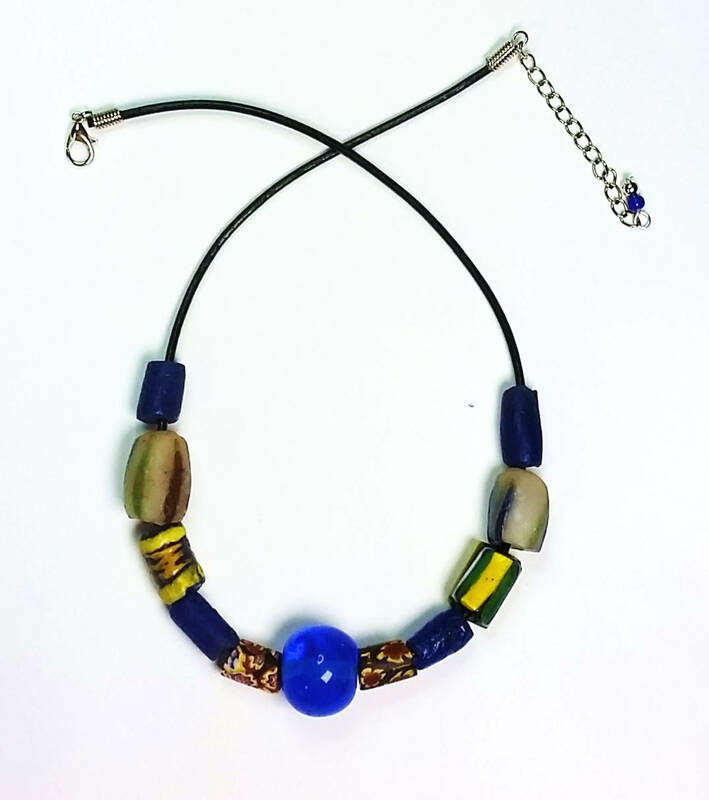 Blue is the dominant color, and all of the other beads in the necklace are trade beads of contrasting patterns and colors with at least a touch of blue. The black leather necklace cord measures approx. 16.5 inches in length with a 2 inch extender chain to about 18.5 inches. The origin of trade beads is interesting. They got their name from being exchanged or traded for goods or services, between the 16th and 20th centuries. Originally, Portuguese ships landing in Africa traded beads for goods, etc. and the Africans subsequently used them for trading. 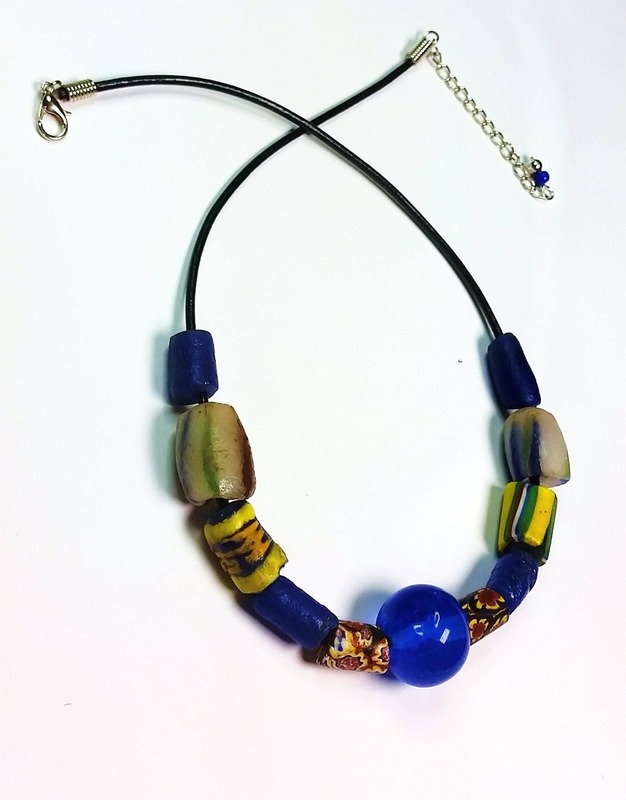 Thus the beads became mislabeled as African beads. 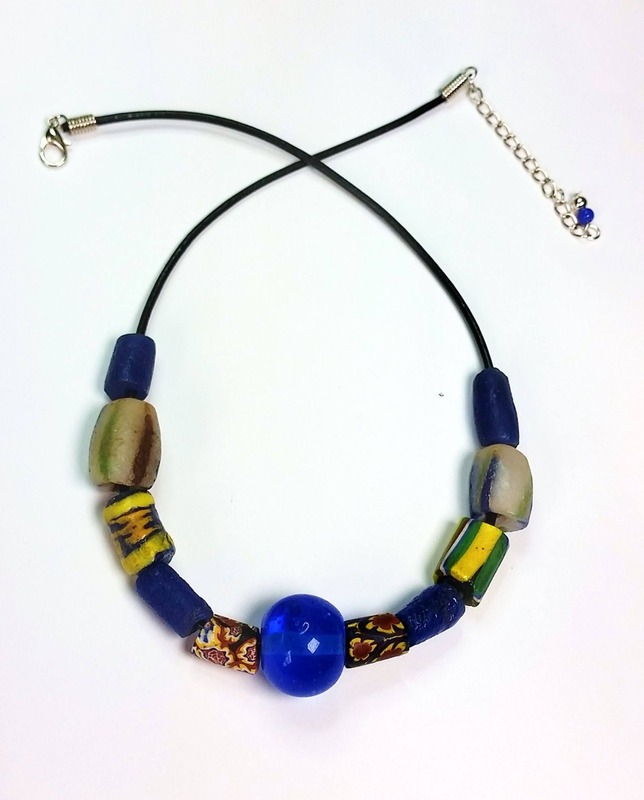 Modern trade beads mimic the patterns of the traditional antiques.